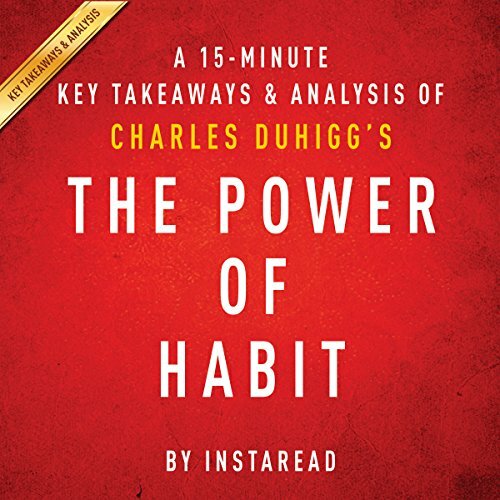 The Power of Habit by Charles Duhigg is a thorough examination of several case studies about how habit formation and habit change impact daily life. It details the experiences of individuals, corporations, and organizations to illustrate how habits are made and why, how they can be changed, how habits of all kinds are used in businesses to attract customers or manage employees, and the devastating results of a poorly managed habit. Several studies of individuals with unusual habits or habit changes explain the neurological mechanisms that form habits in the brain. The habit, stored in the basal ganglia for neural efficiency, is the result of a loop comprised of three parts. These parts are cues that trigger the habit loop, a routine to execute, and feedback, or a reward that tells the brain to remember the habit for the future. Habits can be changed by retaining the cue and reward. The brain forms habits automatically to increase mental efficiency and stores the habits in the basal ganglia. Habit-forming requires a cue that triggers the habit, a routine activity, and a reward to reinforce the habit. Advertisers use the craving for a reward in a habit loop to drive consumer use of their products. The cue drives the routine out of a desire for the reward. Habit change is most successful when the cue and reward remain the same, but the routine changes. Another force behind successful habit change is belief in the ability to change the habit. Certain keystone habits are so integral to everyday behavior that changing them simultaneously changes numerous other habits. Although changing one habit does not directly cause change in others, the small win of committing to a keystone habit change eases the process for changing others.